In the matter of two decades, America has gone from having (arguably) 'no' design scene to boasting a bona fide design movement. Role models have provided one source of that transformation, and Henrybuilt stands chief among them. Henrybuilt is a cult favorite among contemporary-design enthusiasts seeking handcrafted minimalism. The only American kitchen system that can hold its own against the European systems. ...synonymous with brilliantly designed kitchens. The pieces aptly synthesize engineering and craft, meaning they can live in your home for a lifetime. What you get when European style elopes with quality, custom craftsmanship? Meet Henrybuilt. ...all about highlighting technical prowess and pushing aesthetic boundaries. Henrybuilt offers an American alternative to the sleek European kitchens we drool over. I Got Kitchen Envy... This is a perfect example of crafted functionality for real kitchens. A company that joins beautifully crafted, customized cabinetry with refined systems. A traditional Bay Area home gets a French cottage-inspired makeover complete with a highly functional kitchen designed for entertaining. Working with Sidell Parkravan Architects, a favorite collaborator of the firm, Henrybuilt designed a U-shaped layout for the kitchen. Architect's Newspaper features the Color Box Bar in a "What Architects Want" product round-up, focused on adaptable storage solutions that work with a wide range of aesthetic visions. Hunker, a website that provides advice and design inspiration to homeowners, highlights an "elegant, modern," Henrybuilt kitchen, in a trend piece focused on the resurgence of black countertops. Interior Design Magazine showcases Henrybuilt's Color Box in a selection of products that create a "recipe for success" in any kitchen. Gray features Color Box in a Top 20 design piece, showcasing the best new Pacific Northwest designed products for the kitchen. Residential Design features a system home designed by noted architecture firm Lake Flato. "At the core of the great room is the “gray machine,” supplied by Henrybuilt of Seattle. Project manager, Evan Morris, notes "[Henrybuilt is] beautifully built but not precious, and it takes all of the useful wear of the house in a very nice way." Food and Wine features Henrybuilt in an article that tracks the history of island design from the early 1900's to present day. The writer notes Henrybuilt's sculptural Bar Block keeps a cook’s most essential tools right within reach. Spaces features a Mill Valley home renovated by Diego Pacheco Design. The main living space of the home features a Henrybuilt kitchen, designed for the Italian homeowner who loves to cook and entertain. Residential Design features a rare,1960's era restoration in the Hamptons, by Austin Disston Patterson Architects. The home features Henrybuilt in the kitchen and bathrooms. Fauzia Khanani, principal of Studio FOR, calls out Henrybuilt's Bar Block in a piece on singular design moves that will impact how your kitchen feels. Surface features the Fluted Console in an illustrated piece featuring "a few of [Surface's] favorite design objects of the moment." Arch Daily features the Half House by Boro Architects. The 12' wide home, inspired by gallery design, features a Henrybuilt kitchen that maximizes the available footprint, while also blending with the simple, well edited design moves throughout the home. Products Magazine features a luxury spec home, designed by architect Blaze Makoid, and located in Martis Camp, a private community near Lake Tahoe. The developer hired Henrybuilt with the goal of elevating the interior of the home with clever storage solutions that were flexible and impeccably crafted. Henrybuilt designed the kitchen, bar, wardrobe, vanities and entry spaces bringing character and visual interest to the home. Surface Magazine highlights Henrybuilt in a 2-page, spread noting our systems are "contemporary without being cold or impersonal". Gray Magazine, the definitive Pacific Northwest Design magazine, features the Fluted Island in a trend piece tied to holiday giving. W magazine features a conversation between model Jacquelyn Jablonski and her interior designer Ryan Korban. The piece mentions Jacquelyn's Henrybuilt kitchen, which came at the suggestion of her friend, makeup artist Mark Carrasquillo, who is also a Henrybuilt client. Elle Decor features the TriBeCa apartment of Beth and Murat Bugdaycay owners of jewelry company Foundrae, which includes a space defining Henrybuilt wall panel system and kitchen. Architectural Digest features a loft in a converted school building in Brooklyn, designed by Space Exploration, that features a Henrybuilt kitchen, tailored to the ever changing needs of a young family. Dwell features a San Francisco home designed by McElroy design in a round up of buildings that embrace the environment. The home features a family-friendly Henrybuilt kitchen designed for a food entrepreneur. Surface Magazine features the Fluted Island noting the "moody, versatile, stand-alone storage system marks a new direction for the furniture company." The article also notes the island highlights Henrybuilt's legacy of "exquisitely hand-constructed work" and "ingenious organizational systems." The New York Times features a gracious Watermill country home with interiors by General Assembly and storage systems, paneling, and doors by Henrybuilt. The home feels both luxurious and relaxed - the perfect space for the multi-generational occupants to cook and relax. Interior Design features the Fluted Island in a round-up of kitchen products designed to make a big design impact, while also offering impeccable craft quality and function. Aspire Design and Home features a Henrybuilt kitchen designed for a professional chef looking to tap into the nostalgia of growing up in California and Hawaii in the 70's. The flexibility of Henrybuilt's system allowed her to achieve her specific design goals without sacrificing the function and performance a professional chef requires. Elle Decor features the Functional Partition Wall in a survey of inspiring, "next level" kitchen products. The made-to-order piece includes interchangeable storage options and an electrical outlet. Inhabit, a design blog affiliated with real estate giant Corcoran, features Henrybuilt in a kitchen design piece, highlighting how the company "has become one of the most sought-after kitchen designers in the country." Elle Decor features a home in the Sterling Mason, a 33-unit condominium building in Tribeca designed by Morris Adjmi and Gachot, with Henrybuilt kitchens and baths throughout. The featured home also includes a Henrybuilt wardrobe and office system, tailored to the aesthetic requirements of the project. New York Magazine’s The Cut features a dramatic townhouse renovation by Zimmerman Architects that includes a Henrybuilt kitchen. The homeowners had conflicting aesthetic requirements - she leaned modern and he more traditional. The warm, contemporary kitchen meets them in the middle, while also ensuring the space is highly functional for two cooks. Henrybuilt is featured in a story about how the market is shifting towards kitchens that blend seamlessly with the surrounding spaces inside a home. The writer notes that Henrybuilt offers hidden function and integrated furniture as part of its system. Sacramento Home features a Tahoe residence designed by Architect Blaze Makoid. Henrybuilt was involved pre-permit to develop kitchen, bath, wardrobe, and Opencase systems in response to the architecture, both contributing to the quality of the end result in terms of performance and aesthetics, as well as the feel of living in the space. St. Louis Home features a Brutalist residence originally designed for Morton D. May, which is listed on the National Register of Historic Places. Completed in 2013, the home includes a livable, functional Henrybuilt kitchen tailored to the needs of the family who loves to cook. CA Interiors reports on the newly created Mill Valley Design District, noting Henrybuilt, "who covers the heart of the home and beyond, focuses on clean lines and only the best quality materials." Surface Magazine features Henrybuilt's new Unity Vanity, in a survey of the 10 most artful and forward looking new kitchen and bath products on the market. Dwell includes Henrybuilt's Vertical Bar Block in a 2018 kitchen and bath trend piece, noting the component "transforms empty nooks into places to store kitchen necessities." Architect's Newspaper features Henrybuilt's new Functional Partition Wall in a survey of "the latest and greatest" kitchen products, noting the Functional Partition Wall allows homeowners to create distinct spaces within a kitchen, while also" freeing up drawer space" and "subtly concealing unused cookery." A Henrybuilt loft kitchen, designed in collaboration with a Brooklyn homeowner, was awarded Best Amateur kitchen in the Remodelista Awards. Designed as part of the open living space, the kitchen's layout adds function, while the furniture quality adds warmth and refinement. Dwell showcases HBO director Tricia Brock's, Upper East Side pied-a-terre which includes a small, but highly functional Henrybuilt kitchen. Henrybuilt's Vertical Bar Block was selected as an editor's pick in Gray Magazine's annual award contest. The editors note the piece "fits seamlessly into a kitchen's smaller spaces a​n​d provides open storage that's both good-looking and functional.​"
Interior Design showcases a renovation of a mid-century condo in Nob Hill, by Imbue Design. Imbue brought Henrybuilt on to develop kitchen, bath, office and wardrobe systems with the goal of ​increasing the ​design and ​​functionality of the blank space. Desire to Inspire, a popular international design blog, features an array of Henrybuilt kitchens and products. The piece notes that Henrybuilt is "what kitchen dreams are made of." Fine Homebuilding Magazine highlights the uniqueness of Henrybuilt's approach, focusing on the superior quality and design of its system components. The feature also recognizes the holistic nature of the process, noting the importance of how the components come together in a space and what it feels like to live with them. Architectural Record features a smartly designed home in Truckee, CA. Blaze Makoid Architecture focused on deliberate forms and materials to best integrate the space into the surrounding landscape. Henrybuilt developed kitchen, bath, and wardrobe systems, in response to the architecture. Surface Magazine highlights Henrybuilt's new Functional Partition Wall in the survey "7 Ways to Create a Contemporary Kitchen." The list features refined accents that rethink the traditional kitchen, noting that flexible, hidden storage and noble materials are key. Plastolux features a William Landsberg designed Bauhaus style home in Long Island, renovated by Stephen Moser Architects. Henrybuilt was brought onto the project because of the company's ability to​ ​integrate with historical architectural detailing​ ​while also offering system functionality. Dornob covers the launch of the Vertical Bar Block, noting that "Henrybuilt prides itself on providing holistic answers to the daily questions of household living," and how the Vertical Bar Block "is the latest string to [Henrybuilt's] ever-expanding bow of domestic problem-solving." Architectural Digest features a First Bay Tradition style home in Berkeley, CA. L.A. design firm Commune notes "There's nothing precious or showy about this place. Everything is geared toward the comfort and ease of the family." The home includes a Henrybuilt kitchen and wardrobe system. New York Spaces covers a "jewel box" West Hampton residence, designed by architect Brian Young as a weekend getaway for his family. The home includes a Henrybuilt kitchen, adding both warmth and a connection to nature to the overall space. The design site features a hillside home near downtown Austin reimagined as a NYC pied-a-terre. The project includes an elegant Henrybuilt kitchen and vanity in the master bath. Hamptons Magazine sought out Henrybuilt for insight on kitchen design trends, noting that Henrybuilt has seen an increase in homeowners seeking nuanced, tailored solutions that feel approachable. California Home and Design selects Henrybuilt's Vertical Bar Block as its Product of the Day, noting the piece is an example of the company's "highly functional, seamless, and sophisticated designs." The Wall Street Journal advises on how to bring luxury to small kitchens, noting that the Henrybuilt system offers a "total package" which "makes space[s] feel more refined and functional." Wallpaper covers the launch of Henrybuilt's Vertical Bar Block, noting the new design is an evolution of the company's original Bar Block: the "ultimate kitchen tool box." Residential Architect features Stephen Moser's restoration of William Landsberg's personal​ ​residence in Port Washington, NY. Henrybuilt was hired because of the company’s ability to reflect details within the Bauhaus style home, while also providing system functionality which was important to the client. NY Cottages and Gardens features architect and designer​​ Luis Fernandez's Chelsea loft which includes a spacious Henrybuilt kitchen. Fernandez notes, "the project was about making spaces that feel inviting and maintaining a good flow," while also "ensuring [the space] was completely utilized." Metropolis reports that Tribeca has become a NYC X DESIGN destination, noting the neighborhood hosted a variety of up and coming designer exhibits​​ and is home to​ an increasing number of design​ showrooms ​including ​Henrybuilt, Tom Dixon, and De Vera. Architectural Digest features the South Beach home of fashion designer​​ Anthony Thomas Melillo, noting the sleek and simple kitchen is highly functional but also designed to recede into the surrounding space. Dezeen features Casa Roel, a home in Mexico City, designed by noted Chilean Architect Felipe Assadi. Henrybuilt was part of the international team from early in the design process, which helped to assure maximum refinement and integration of storage systems and furniture into the formed concrete structure. Washingtonian Magazine features Wardman Tower, a 32 unit luxury condominium historic development project in Woodley Park. The building, designed by Deborah Berke ​and developed by JBG Companies, includes Henrybuilt kitchens throughout. Cottages and Gardens features the iconic Double Diamond, built in 1958 by architect Andrew Geller and recently restored by CookFox. The new home on the property includes a Henrybuilt kitchen​ and other systems throughout​. The Double Diamond, a cabin built in 1958 by Andrew Geller and restored recently by CookFox, is featured in Newsday. The writer notes the property now includes a secondary residence with a "custom kitchen from Henrybuilt of Soho and both ocean and Moriches Bay views." Elle Decor features art dealer Francis Mill's converted South of Market warehouse in San Francisco, designed by Stephan Jones. The "stylish, flexible and functional" space includes a Henrybuilt kitchen. Architectural Digest features a refined New York apartment in the Sterling Mason, one of Tribeca's most iconic buildings. The editor notes that Henrybuilt kitchens, installed in every unit, provide "a rich contrast to the modern furniture ensemble." Dezeen, a noted UK based design website, showcases a 6,000 square foot Tahoe residence, designed by Architect Blaze Makoid. Henrybuilt developed kitchen, bath, and wardrobe systems, in response to the architecture, that contributed to the quality of the end result in terms of performance and aesthetics. "…synonymous with brilliantly designed kitchens." Remodelista's Kitchen of the Week column features a​ collaboration between the​ "kitchen system masters" at Henrybuilt and Shauna McManus Architects. The gracious kitchen fuses old world charm with sleek functionality. San Francisco Cottages and Gardens features a Henrybuilt kitchen in a Palo Alto Eichler, renovated by Klopf Architects. Henrybuilt ​was hired ​to create a "durable cooking and entertaining hub without sacrificing the home's historic architecture." Henrybuilt is featured alongside BBDW, Atelier Viollet, Century Furniture, and Theodore Alexander in this new book devoted to the "well designed and well crafted." San Francisco Magazine features a Henrybuilt kitchen in an extensive remodel of a Glen Park home by architect Tom McElroy. The homeowner, an avid cook, brought Henrybuilt onboard to create the "roomy, hardworking kitchen." Dwell features a smartly designed Chelsea loft renovation by Frame Design Lab. The home includes a tightly fitted Henrybuilt kitchen system designed to maximize function while also bringing warmth and visual interest to the space. SF Cottages and Gardens showcases a San Francisco condominium with a Henrybuilt kitchen system. The writer notes the kitchen is a "standout feature" in this recently listed home. Henrybuilt's New York Showroom at 12 Crosby Street received an American Architecture Prize for the category of Interior Design/Retail. Inhabit showcases a boutique townhouse project by Wheelhouse Design which features Henrybuilt throughout the residence. The writer notes that Henrybuilt's definition of luxury isn't about how many ovens you have, it's about things that improve your life every day and finding the people who can show you what those things are before you ask. The New York Post features a renovation project by interior designer Kati Curtis and Architect John Reimnitz. The Henrybuilt kitchen brings character and depth to the new build condominium. Henrybuilt is mentioned as the maker of today's benchmark modern, wood kitchen in an interview with up-and-coming furniture designer William Armsby. Houzz showcases a highly efficient, sea-side home by Zero Energy Design that features a sleek, yet warm Henrybuilt kitchen, as well as vanities. Aspen Magazine features a dramatic Will Bruder designed mountain home. At the core of the "subliminally organized" origami like structure "is the ample kitchen, which features a handcrafted, white oak Henrybuilt cabinet system." Architect's Newspaper includes Henrybuilt in a Fourth of July survey celebrating the role that design and furniture making have played in the history of our nation and showcasing thirteen modern day companies that are carrying on the tradition of innovation and craftsmanship. Marin Magazine includes Henrybuilt in an insider's guide to Marin County, noting that the Henrybuilt showroom in Mill Valley is a must stop for design inspiration. Brownstoner features an extensive renovation of a historic, turn-of-the century limestone in Park Slope. The Henrybuilt kitchen was designed to integrate seamlessly with the original casework of the home, while bringing a high degree of functionality to the space. Departures includes Henrybuilt in a survey of kitchen design trends alongside Bulthaup, Boffi, Small Bone of Devizes, and Christopher Peacock. The article notes Henrybuilt's handcrafted Bar Block blurs the line between kitchen and living space, while offering tailored storage to the cook. Opencase is included in Architectural Digest Germany's 2016 kitchen supplement. The system is the only American product featured, along with Poggenpohl and Leicht. Henrybuilt and the Mill Valley Design district are written up as the Bay Area's newest design destination. Remodelista mentions Henrybuilt in a review of 11 Howard, a new boutique hotel in Soho. The article highlights the design caliber of the neighborhood, noting that Henrybuilt and BDDW are right around the corner from the hotel, tucked amongst other design haunts. Food 52 shares thoughts about kitchens from Scott Hudson, founder and CEO of Henrybuilt. The piece highlights the importance of an integrated system approach to creating a great kitchen. Developers are investing in highly-tailored components, including branded kitchen systems, in order to set their buildings apart in an increasingly competitive and discerning market. Henrybuilt is included for its contribution to the Sterling Mason, a 33-unit condo project in Tribeca. The writer highlights Henrybuilt's hand-built feel, focus on function, and its contribution to the overall feel of the space - the most important factor according to project architect Morris Adjmi. Dwell Magazine includes Henrybuilt in its 2016 Kitchen and Bath issue. The writer notes that Henrybuilt's system, which integrates architecturally, makes it easy to add storage to tight spaces. New England Home Magazine showcases an energy-efficient Lexington, MA residence by Zero Energy Design. The open plan is centered on a sleek kitchen designed by Henrybuilt. Architect's Newspaper interviews Scott Hudson about the Sterling Mason, a 33-unit luxury condominium project in Tribeca, with Taconic, Morris Adjmi, Gachot Studios, Henrybuilt, and Deborah Nevins. The Henrybuilt kitchen in fashion and design publicist, Coralie Langston Jones' impeccably restored Eichler is featured in San Francisco Cottages and Gardens. The kitchen was installed in 2008. The Henrybuilt kitchen in George Clooney's Mexican villa - which is part of a Legorreta + Legorreta-designed compound, is included in a slideshow of Celebrity Kitchens with Incredible Style. Surface Magazine includes Henrybuilt, Bulthaup, Boffi, Valcucine, and Vipp amongst others in a survey of "agile" kitchen system solutions that are "both aesthetic and pragmatic". Henrybuilt was the only American company included. California Home and Design Magazine features a Piedmont area remodel by OKB Architects. The home includes a Henrybuilt kitchen as well as several wardrobes and bathroom vanities. Utopia, a leading kitchen and bath design magazine in the UK, features the St. Helena project. The property includes two Henrybuilt kitchens, a pantry, media storage and multiple vanities. The writer notes the functional design of the primary kitchen complements the architecture of the home. San Francisco Cottages and Gardens covers the opening of Henrybuilt's new Mill Valley showroom in a round-up of "buzz worthy introductions and openings." Interior Design Magazine features the new 30,000 square foot, Gould Evans designed offices of Value Act Capital, one of the largest investment firms on the West Coast. The space includes a pantry by Henrybuilt, designed to make employees feel at home. Interior Design Magazine features Henrybuilt's new white palette in its highly-selective, bi-annual products issue. C Magazine includes Henrybuilt's first California showroom in a piece showcasing Mill Valley as a new Bay Area design destination. Gray Magazine features Henrybuilt in a survey of top, international kitchen system companies, noting Henrybuilt's reputation of exceptional craft quality. Marin Magazine covers the opening of Henrybuilt's first California showroom, located in an former auto mechanic's garage just across from the Golden Gate bridge. Architizer includes Henrybuilt's new Bay Area showroom in a round-up of "gorgeous" new showrooms that opened over the summer. The writer notes the "industrial backdrop perfectly complements the thoughtful, minimalist, and clean aesthetic of Henrybuilt's kitchen and storage systems." Sunset Magazine features Henrybuilt's new Instagram account in a round-up of noteworthy Western tastemakers. Dwell features The Garage on Hyde, a 7-unit luxury development project on Russian Hill in San Francisco, designed by Ogrydziak and Prillinger. The project includes kitchen, living room and vanity systems by Henrybuilt. Cottages and Gardens Magazine features a home overlooking Gardiner's Bay in Amagansett, with interiors designed by Suzanne Shaker. The home includes Henrybuilt's Steel Table 4. Dwell showcases a cutting-edge, energy efficient home designed by Zero Energy Design. The home features a Henrybuilt kitchen and an entry storage system. The Mill Valley Chamber of Commerce covers the opening of Henrybuilt's first California showroom. The writer notes, "that as founder Scott Hudson sees it, the American kitchen has been playing catch-up as industrial design savvy has made huge imprints across our lives, from phones and cars to clothing and bikes. In the 14 years since he created Henrybuilt, Hudson and his team have made significant strides to that end, melding the flexibility, creativity and warm modernist aesthetic of high-end American custom kitchens with Europe's integrated approach to kitchen design." The Resident covers The Sterling Mason, noting the building had "quite an impressive start. Generating sales activity that 'far surpassed expectations,'" according to Charles Bendit, co-CEO of Taconic Investment Partners, they "achieved $87.5 million in sales in the three months of summer alone." A year later, just three residences remain. The condominiums include Henrybuilt kitchens and baths. California Home and Design covers the opening of Henrybuilt's first California showroom, noting the space, in a converted auto mechanics shop, "is meant to make you feel what it's like to live with their products" and is representative of "10 years of working with early adopters all over the state." Architect's Newspaper includes Henrybuilt in a round-up of kitchen and bath products that combine assertive style and high performance. Architectural Digest includes Henrybuilt's new Manhattan showroom, located at 12 Crosby Street, in a round-up of noteworthy shops and showrooms. Core 77 interviews Scott Hudson, founder and CEO of Henrybuilt, on the future of the American kitchen. The conversation covers a range of topics centered around how a kitchen system is unique in integrating form and function to produce a more refined result, and how the company approaches product development. Architectural Digest covers the opening of Henrybuilt's expansive new showroom on Crosby Street in New York City. The writer notes that the space is designed to feel like a living space, demonstrating the full range of design value that Henrybuilt brings to a project. Henrybuilt was awarded the top honor in the Building Trades Category at the 2015 Washington State Manufacturing Awards, sponsored by Seattle Business Magazine. The company was recognized for its year over year growth, the introduction of Opencase, an award winning reconfigurable storage system, productivity gains attributed to the implementation of a modified version of the Toyota Production System, as well as the development of a proprietary reusable shipping container system. Napa Valley Life covers the annual Kitchens in the Vineyard event, a home and garden tour showcasing five premier homes in the Napa Valley. This year's roster includes a modern farmhouse with a Henrybuilt kitchen and a home designed by noted architect Hugh Newell Jacobsen. Apartment Therapy includes Henrybuilt in a guide to buying custom furniture, noting that Henrybuilt's systems can be tailored to the architecture of [one's] home. Architizer interviews Scott Hudson, Henrybuilt Founder and CEO. An excerpt: "In the matter of two decades, America has gone from having (arguably) 'no' design scene to boasting a bona fide design movement. Role models have provided one source of that transformation, and Henrybuilt stands chief among them." The noted UK publication features Henrybuilt in showcase of luxury, high-functioning kitchen solutions, noting Henrybuilt combines systems thinking with personalized, made-to-order design, resulting in a high-performance kitchen that integrates with the surrounding architecture. CA Modern Magazine includes Henrybuilt in a kitchen showcase targeted at Eichler homeowners. The writer notes the warm, tactile feel of Henrybuilt's system and highlights the functionality of its new line of handcrafted drawer accessories. Downtown Express reports on the Sterling Mason's enviable features, including Henrybuilt kitchens and vanities, mentioning that "no stone [was left] unturned in terms of the design, functionality and service in the building." Dwell magazines features a recent Brooklyn apartment renovation that includes a Henrybuilt kitchen system which balances natural materials with a refined sensibility. Architect's Newspaper includes Henrybuilt in a survey of "6 Cutting Edge Kitchen Systems" alongside Bulthaup, Poggenpohl, Leicht, Varenna, and Valcucine - noting Henrybuilt offers hand-craft and one-of-a-kind detailing. Henrybuilt's Steel Table 4 with Storage is awarded a Chicago Athenaeum Good Design Award. This is the third win for the company. Architect Magazine includes Henrybuilt's latest chair, which was designed with a companion desk, in a round-up of "Five Furnishings for Inspired Interiors." The writer notes the pair's streamlined design and interlocking construction. Food and Wine includes Opencase in a round-up of "25 Great Kitchen Upgrades," noting the flexibility and specialization of the made-to-order system. Noted chef, Amy Chaplin, cooks for the Wall Street Journal in her Henrybuilt kitchen, designed to be "simple and functional." Dwell features a Palo Alto residence designed by Studio Urbis. Henrybuilt was selected for the kitchen because of its high function. The homeowner (a native of India and an avid cook) notes "it is not a decorative show kitchen that is not a place to cook. It really functions, and I wanted that." Opencase anchors Elle Decor's monthly Tool Box section, a collection of "inspiring ideas and terrific products". The publication notes the sleek system offers specialization alongside adaptability and is designed to evolve with the user's needs over time. For more information about Opencase please click here. The New York Times features a recent Brooklyn apartment renovation that includes a Henrybuilt kitchen system that is both rustic and refined at the same time. City Biz reports that the Sterling Mason, a luxury development project in Tribeca, is now 85% sold. The building was designed in collaboration between Taconic Investment Partners, Morris Adjmi, Gachot, and Henrybuilt. The news outlet notes "With some of the best finishes and layouts downtown and a level of service that is almost never offered in a boutique building, The Sterling Mason has truly stood out in a market that has proven itself the epicenter of the luxury market." Robb Report covers the launch of Henrybuilt's new line of drawer accessories, noting the components allow homeowners to create tailored, highly functional storage solutions. The new accessory program is part of Henrybuilt's ongoing product development effort, which is focused on continually improving the integration of design quality and functionality in the system. Freshome covers the launch of Henrybuilt's new drawer accessories noting the highly functional pieces optimize space and "extend the warm, tactile feeling of Henrybuilt's system into the interior, where users interact with the system most." The top kitchen design prize was awarded to a kitchen in a former Brooklyn schoolhouse, containing a Henrybuilt kitchen system. The system was customized to integrate into the overall design created by the design firm, Space Exploration. Dwell features the Henrybuilt drawer accessory system in its annual round-up of the most "exciting and innovative" designs from across the US. Remodelista covers the addition of new components to Opencase including a desk, wall seat, and leather pockets, noting the versatility and "high style" of the system. House Beautiful selects a Henrybuilt project, done in collaboration with Curated, for its coveted Kitchen of the Month feature. Haute Residence, a luxury online real estate magazine, features the Sterling Mason, a 33 unit development in the Tribeca neighborhood of Manhattan being developed by Taconic Investments, noting Henrybuilt's involvement in the project. Remodelista includes Henrybuilt in a tutorial explaining the pros and cons of choosing between a cooktop and a range. The Henrybuilt design team weighs in on the best way to get a sleek integrated look appropriate for open plan designs. Opencase is awarded a 2014 Architzier A+ Jury Award. Winners were chosen by industry luminaries including Charles Renfro, Bjarke Ingels and Tom Kundig, as well as people from beyond architecture like Tony Hsieh (CEO, Zappos), Yves Behar (Fuseproject), John Edelman (CEO, Design Within Reach), Cameron Sinclair (Architecture for Humanity) and Barry Bergdoll (MoMA). Interior Design Magazine features founder and CEO Scott Hudson in its 10 Questions series. The piece notes that Henrybuilt combines business acumen, straightforward design principles, and a love of the Craft Movement, to offer the design world sleek and performance-forward systems for kitchen, bath, media and office [bringing] a new perspective to the European "system" philosophy. Design Sponge features the Henrybuilt kitchen of textile designer Helen Dealtry and her husband. The goal of the project was to " create a home that fit their modern lifestyle and love of entertaining but still respected the history of the 150-year-old building. " City Biz reports on the topping off of the Sterling Mason, a luxury development project in Tribeca. The building includes 33 "handcrafted residences" designed in collaboration between Taconic Investment Partners, Morris Adjmi, Gachot, and Henrybuilt. Charles Bendit, co-CEO of Taconic notes that the Sterling Mason is not only a bellwether for the Tribeca condo market, but it also represents [Taconic's] philosophy of investing in high-quality assets and maximizing value-add potential through timeless architecture and uncompromising design. The New York Times features the Santa Monica home of Architect Buzz Yudell, principal of Moore Ruble and Yudell Architects, and his wife Tina Beebe, an architectural colorist and painter. The streamlined, nearly net-zero design features Henrybuilt systems in every room including the kitchen, living room, wardrobe, offices, and artist's studio. Opencase is awarded a 2014 Interior Innovation Award in the Furniture category. Behance, the world's leading platform for creative professionals, features Opencase on its curated furniture site, Furniture Served. Dwell Magazine includes Henrybuilt in a tutorial about modern kitchen design. The editor notes how Henrybuilt combines system innovation with handmade quality. The Opencase Wall System is recognized with a Silver Spark Award. Founded in 2002, the mission of the Spark Awards is to promote better living through better design. Architectural Digest features George Clooney and Cindy Crawford's Los Cabos compound which consists of two adjacent villas designed by Legorreta + Legorreta Architects. The goal of the project was to create an elegant place where friends and family could gather comfortably. Both villas include Henrybuilt kitchens. Henrybuilt is listed in the 'Resources We Swear' By section. A Henrybuilt kitchen is featured in this survey of the diverse architecture and interior design in Brooklyn. Residential Architect features Opencase, noting the system delivers seamless integration and increased functionality while also offering quality and craftsmanship that separates it from the pack. Domaine includes Opencase in a feature showcasing top custom design resources that let homeowners achieve decorator results on their own, noting the benefit of Henrybuilt's integrated design service. Noted architect, Jack Wettling recommends the Henrybuilt Wardrobe System, highlighting the customizable system's integrated electrical outlets, leather-lined drawers, and hidden laundry baskets. The Henrybuilt Backsplash System is included in a round-up of treatments that bring more to the kitchen than just utility. The piece highlights the seamless function and integrated design offered by the Henrybuilt system. Form Magazine covers the launch of Opencase noting that the "warm, user friendly" system "combines an innovative approach to design with good looks." The Wall Street Journal showcases Henrybuilt in a trend piece about the shift toward wood within minimalist kitchen design, noting that Henrybuilt is "a cult favorite among contemporary-design enthusiasts seeking handcrafted minimalism." The Opencase Wall System is awarded a 2013 Industrial Design Society of America IDEA Award. Dornob an online design magazine focused on products "that take form and function to the next level" covers Opencase, focusing on the adaptability of the rod and panel design. Residential Building includes both Henrybuilt and Viola Park in a roundup of the "hottest kitchen and bath products on the market right now." Noted online design magazine, Better Living Through Design, covers Opencase, highlighting Henrybuilt's "exacting quality and craftsmanship." The Tribeca Citizen reports on the Sterling Mason, a 33-unit luxury development in Tribeca. The project is an innovative collaboration of architecture, design and craft. Collaborators include Taconic Investments, Morris Adjmi, Gachot Inc., Deborah Nevins, and Henrybuilt. Yanko, a top source for industrial design and product news, features Opencase commenting on the system's adaptability and handcrafted details. Blue Ant showcases Opencase, focusing on the system's unique rod and panel design and warm, hand crafted feel that sets it apart from other storage systems on the market. Furniture Fashion features the Opencase, highlighting Henrybuilt's continued focus on creating products that are highly functional and aesthetically pleasing. Interior design authority, 3Rings notes that Opencase combines "technical sophistication with a warm, residential aesthetic." Plastolux covers the launch of the Opencase, highlighting how Henrybuilt's "combination of function, craft, durability, and beauty come together to create a superior living experience." The Martis Camp project took home the top modern home honor in Tahoe Quarterly's 9th Annual Mountain Home Awards. Henrybuilt made a significant contribution to the project with systems in the kitchen, bathrooms, bedrooms, and hallways. The New York Times features the Opencase Wall System, noting the clever design of the system offers specialization alongside adaptability. Design Sponge features a client's Palo Alto Eichler home, noting the homeowners selected Henrybuilt because they wanted a durable kitchen that would "stand up to daily use and look good for many years to come." Dwell Magazine features a West Village renovation project Henrybuilt collaborated with Reddymade Design on in their "Houses We Love" feature. The article notes Henrybuilt was able to design a system that conformed to the apartment's oddly angled walls. The article will also appear in the June 2013 issue of the magazine. Writer Sarah Lonsdale features the Opencase Wall System, mentioning that Henrybuilt's craft and design quality has made it a covetable brand and noting that the Opencase has "raised the bar on storage solutions." Design Bureau Magazine includes Julianna Morais, Henrybuilt's Design Director, in an international interview piece highlighting five top kitchen designers. The Los Angeles Times includes Henrybuilt in a trend spotting piece about the luxury kitchen system market, noting the company's new product offering is on the forefront of the trend toward warmer, handcrafted design. Dwell Magazine features writer Deborah Bishop's San Francisco home, noting that Henrybuilt gave her a kitchen "crafted as fine furniture, but equipped with the kind of uberfunctionality built into European systems." 3Rings includes Henrybuilt in a trend piece highlighting the shift toward personalized design, noting that "Henrybuilt's bespoke solutions extend function, not to mention fine craft, into the rest of the home." David John features Henrybuilt's expanded product offering, highlighting the company's holistic approach to material selection and how this method delivers superior results. Residential Building includes Henrybuilt in an international round-up of 'drool worthy' contemporary kitchens. Kitchen expert Faith Durand includes Henrybuilt in her personal inspiration guide, noting that "Henrybuilt makes some of [her] favorite kitchens." Bridget Otto reports on Henrybuilt's new expanded product offering, citing the company's impeccable craftsmanship. Remodelista features Henrybuilt's new collection of leather pulls, noting that Henrybuilt is leading a trend toward warmer design in the kitchen. Cultivate, a leading kitchen design resource, features Henrybuilt's expanded range, noting that the product brings homeowners the personalization and craft of custom design with the functionality of a kitchen system - and citing that [Henrybuilt] "now works in nearly any style house, from a mid-century bungalow to a pre-war townhome." 3 Rings reviews Henrybuilt's expanded range of surface options noting the "new materials and finishes allow the company to create personalized kitchens with the high level of function and consistency that comes with a system." Furniture Fashion profiles Henrybuilt focusing on the company's customizable system which allows for a high degree of personalization and a "formidable level of function". Trends Ideas features a Henrybuilt kitchen project designed in collaboration with Prentiss Architects. Northwest Home Magazine includes Henrybuilt in a survey of top island options on the market noting that the "always hip" Henrybuilt offers sleek custom styles. Yanko, the noted industrial design blog, showcases Henrybuilt's growing aesthetic range noting that clients can create "highly personalized and refined look[s] without sacrificing function." Design Blog Plastolux features Henrybuilt noting the company's "craftsmanship and quality are simply stunning." The Henrybuilt Wine Storage System was selected as an Honoree in the Kitchen Category at the 2012 Best of Year Awards. This is the fourth consecutive year that Henrybuilt and its sister company Viola Park have been selected as finalists; in 2010 and 2011 the company earned top honors. Architectural Record includes the Henrybuilt Wine Storage System in a feature on the latest products for kitchens and baths that "help make everyday rituals more efficient and enjoyable." Henrybuilt is included in an article on the "New American Minimalism", a movement within the home furnishings industry that values simple, locally made pieces focused on "reserved shapes, natural materials, apparent construction and hand finishing." Marin Magazine features the Tiburon House, a LEED Platinum home designed by Butler Armsden Architects, that Henrybuilt collaborated on. Henrybuilt was chosen because of its sustainable focus and warm modernist design aesthetic. Interior designer and blogger David John, interviews Scott Hudson on what drove him to found Henrybuilt, its systems approach to design, and the importance of creating with your hands. Uncrate, a leading buyers guide for men, recommends Henrybuilt's Wine Storage System as the perfect addition to any personal wine bar or gentleman's club. Gray Magazine features a Henrybuilt kitchen designed for a Mid-century home on in Gig Harbor, WA. Writer Lindsey Roberts notes how the design of the kitchen blends with the historic architecture while adding function and style. The Henrybuilt Wave Bench was selected as an Honoree at the 2011 Best of Year Awards. This is the third consecutive year that Henrybuilt and its sister company Viola Park have been selected as finalists. Viola Park won first place in its category in 2011, representing a back to back win for the company as a whole. The Henrybuilt Corporation is selected as a finalist in the Wall Street Journal's Innovative Small Business Contest for the launch of its sister company Viola Park, the paper notes the company's ability to innovate and respond to market demands. Editor, Aaron Britt includes Henrybuilt in a survey of noteworthy American manufacturing companies, highlighting Henrybuilt's elegant craftsmanship and simple lines. Editor, Mark McMenamin selects the Henrybuilt Scoop Bench as one of the top new seating introductions of 2011. Dwell includes a Henrybuilt kitchen, located in a Bay Area Eichler, in a round up of its favorite kitchens. 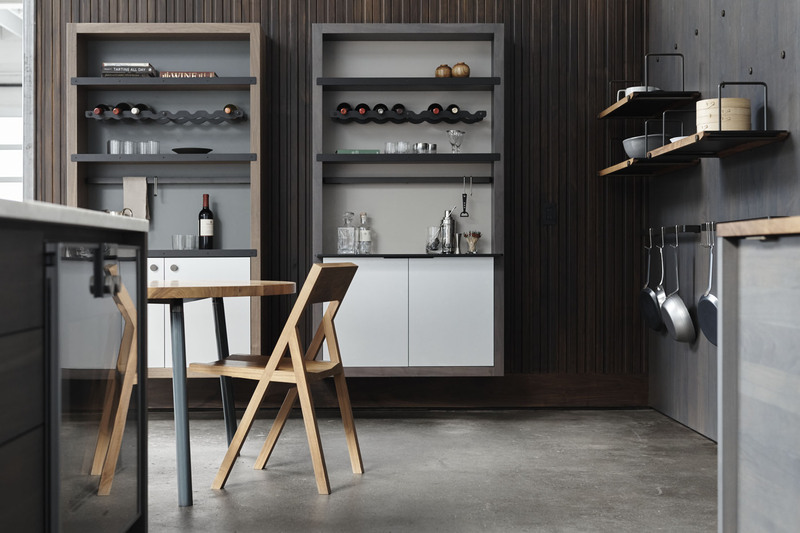 Editor, Nick Schronenberg reports on how Henrybuilt is building on its "sterling kitchen reputation" with a new collection of furniture that shows an increased technical prowess and an advanced aesthetic. Design writer Tim Mckeough covers Henrybuilt's expansion beyond "meticulously crafted kitchens" to include a new furniture collection and dedicated website. Writer Mimi Zieger covers Workshop For Architecture's projects for the fashion cognoscenti, including the Henrybuilt kitchen in Andrew Richardson and Diana Dondoe's NYC loft. Writer Amy Prince includes Henrybuilt's mobile island collection in her top picks for the modern kitchen, citing how Henrybuilt fuses "old world craftsmanship and 21st Century flexibility" to create modern, mobile hearths. Interior Design Magazine includes the Henrybuilt Bar Block in its bi-annual survey of the most innovative products in the marketplace. Monocle Magazine includes the Henrybuilt Bar Block in a survey of the top 25 design products in the world, highlighting Henrybuilt's reputation for traditional craft quality. Blogger, Janet Hall reports on Henrybuilt's "cleaver and beautifully crafted" bar block. Elaine Louie discusses how the Bar Block is dual purpose - bringing efficient storage to the workspace while acting as a bar that blends with adjacent living areas. Deborah Bishop writes that she chose Henrybuilt "for her remodel of all remodels" because she was looking for a timeless kitchen solution that blended the craft quality of fine furniture with the functionality of the best European kitchen systems. Editor, Jesse Ashlock includes the Henrybuilt Workspace Component Group in ID Magazine's annual "New and Notable Products" issue, noting the pieces maximize storage and resemble a high-art triptych. Hugo MacDonald includes the Workspace Component Group in Wallpaper's virtual dream home, highlighting its fusion of craft-quality and cutting edge design. Editor James Lippincott writes that Henrybuilt offers a warmer alternative to the slick European kitchen systems. Jennifer Kirchels reports that Henrybuilt is the only American made kitchen system that can hold its own against the European systems. Janet Hall features the Workspace Component Group, mentioning that Henrybuilt is Remodelista's favorite kitchen system company. Jeff Carvalho writes about the Henrybuilt Wardrobe System and its fusion of European style and American craftsmanship. Tracy Chait covers the new Wardrobe System focusing on Henrybuilt's "trademark modern design and unsurpassed funtionality". Janet Hall discusses the thoughtful and aesthetically appealing details found throughout the Henrybuilt Wardrobe System. Deborah Bishop includes Scott Hudson, CEO of Henrybuilt in a roundup of top kitchen taste makers. Surface Magazine includes Henrybuilt as the only American made kitchen system in a survey of the top kitchen systems in the world. Michael Cannell reports on the increased level of function and storage Henrybuilt brought to Maxwell Gillingham-Ryan's (founder of Apartment Therapy) kitchen remodel. Deborah Baldwin reports on the opening of the Henrybuilt Soho showroom, highlighting the company's warmer version of the European kitchen system concept.